Height: 72 cm / 28 in. 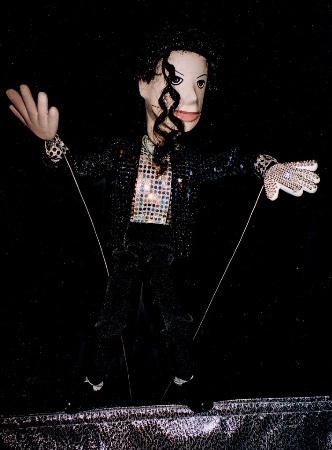 MICHAEL JACKSON - rod puppet (72 cm/ 300 g) with moving head, mouth, hands, thighs and legs, a parody of Michael Jackson in mid 80s. 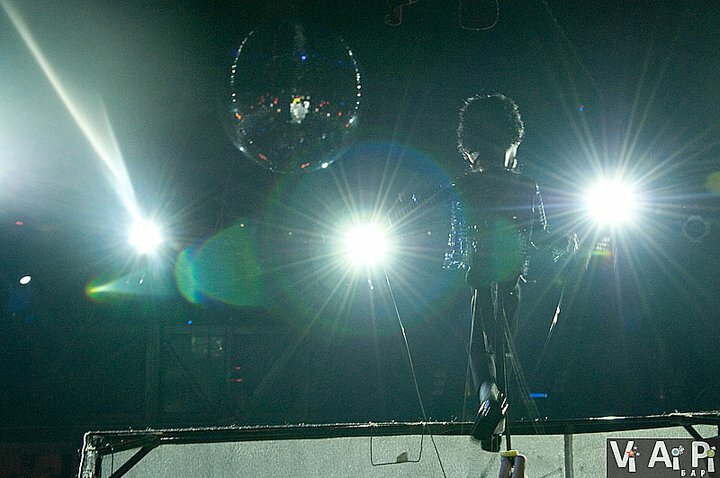 The puppet is operated by one puppeteer. Materials: papier-mache, styrofoam, foamrubber, metal wire, fiber plastic, fabric. First presentation - June 28, 2000. The puppet has moving thighs and original construction of legs.